3/2.5/2 CG ON LARGE PIE SHAPED LOT. . HOME FEATURES NEUTRAL FINISHES, SPLIT FLOOR PLAN, UPDATED KITCHEN I CENTER ISLAND. CLOSETS ARE REDONE. SCREENED COVERED PATIO, SHUTTERS. 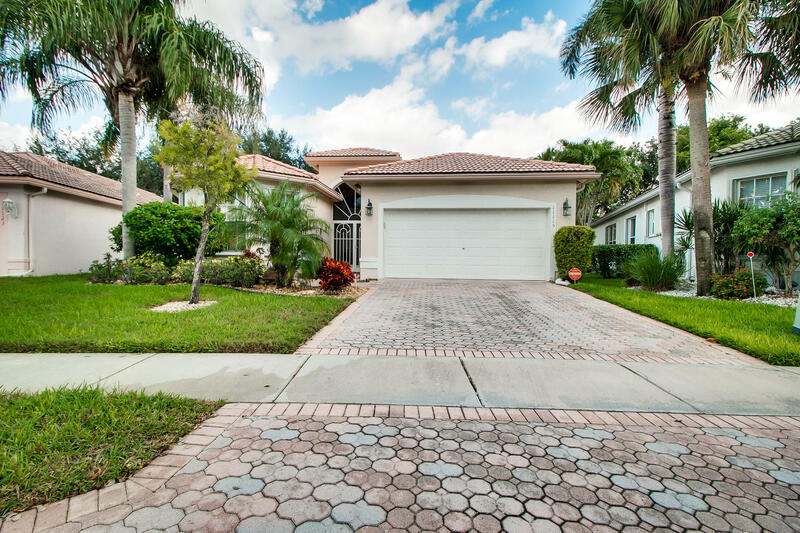 Enjoy the active lifestyle of Valencia Isles in this 3/2.5 with 2 Car Garage on a pie shaped lot. Home is finished in neutral tones and has been well cared for. 3 Bedroom split floor plan makes for a wonderful home to welcome family and guests for their visits. Vaulted ceilings in living area, with coffered ceiling in Master bedroom adds to the over 2000 sq ft. Enjoy the cool mostly north facing screened patio for your morning coffee or enjoy the stars at night. Features full Shutters.